Naked cakes provides services for two sectors – PERSONAL and BUSINESS. Please take a look at what we can do for you below. Have you ever wanted a personalized cake but couldn’t find someone to do the exact things you want? Or maybe you’ve just always wanted to try cake-decorating but you don’t know the second thing about baking. You can order a cake base and decorative elements from us for your own personal use. The cake will arrive fully, freshly baked, ready for you to decorate to your heart’s content. They’re great for birthdays, weddings, parties, or if you’ve ever just been curious and wanted to try it out. What we want to do is to give everyone the opportunity to ice, frost, and decorate their own cakes themselves and enjoy the fun of it. We take care of the messy stuff so that you don’t have to! Please check out our store for a list of things on offer, and our guide to find out what you’ll need and how to get started. We also take bulk orders for events. Cake or cupcake decoration activities make great team building exercises, or fun games on corporate retreats. They may also be decorated for company events using our image printing service. If you need something a little bit more personalised, we can print out any image you send us – be it a logo, a picture, a photo, anything! – on a delicious edible candy sheet. 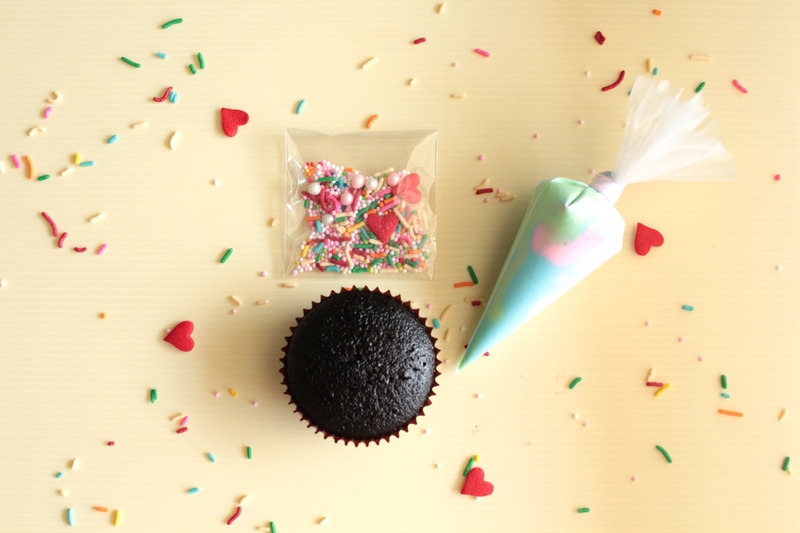 An A4-sized edible candy sheet with whatever you want only costs SGD$12 each. Look here for more details. If you require a really fancy, amazing cake done up and you just don’t have the expertise (or just don’t want to do it yourself), we’d be happy to hook you up with one of our independent professional baker friends who can do it for you. We have a network of amazing chefs and great artists who can bring your dream cake to life. And here’s the kicker – you don’t have to buy a thing from us to take advantage of this. No tricks, no hidden costs. Just contact us for a list of recommendations based on your personal needs. 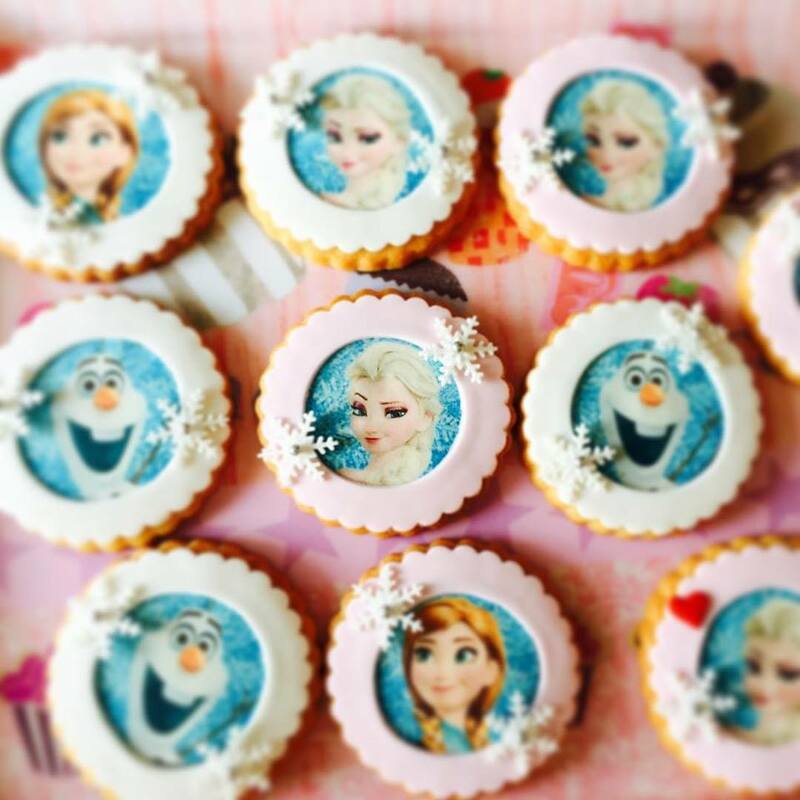 Have you ever wondered how they make those really amazing cakes that you’ve seen online? Do you need some decorating tips of your own to achieve something? Allow our own Chef Jane Tan to help you! Call us or drop us an E-mail, and get all the assistance you need. If you ever needed any help taking your cake decoration skills to the next level, we’ll be happy to assist. Or, if you’re just starting out, you can check out our comprehensive beginner’s guide here. And did we mention it was free? You have no obligation to buy from us or utilize our services. No strings attached. From baker to baker, all we want is to spread the joy of creation. For businesses, we provide a comprehensive suite of services, intended to help the home baker with their needs. From aiding in production to business support, we seek to provide a foundation of growth to allow you to have better control over all aspects of your set-up. We currently work with many home bakers and small-to-medium businesses to support their production line by providing cake bases for their individual needs. We can help with your foundation by assisting in the cake-baking process. We freshly bake cake bases to order in a variety of available flavours, and provide them ‘naked’ for you to use as you wish. This allows you to expedite your workflow and increase productivity. We integrate into your system, so no changes on your side are required. What this means is that we bake your cake bases so that you don’t have to, any day of the week at any time, so there’s no need for messy rescheduling or workflow interruptions. This frees up your kitchen and affords you free time, to allow you to concentrate on other goods and services. In fact, with our comprehensively stocked kitchen, we may even be able to expand your current line-ups! We provide in a variety of shapes and sizes; from 4 – 10 inch, sheet cakes, to even less common shapes like spheres. Sourcing Ingredients Search through our network of specialty shops in order to find the best and freshest ingredients possible. Tell us what you need. Transportation Buy all necessary components and ingredients on your behalf and deliver the products to you. Save money on cab fare. Storage Store a huge quantity of ingredients and tools. Wonder what to do with all that space. Sizing Use our vast collection of equipment to make sure that you have cakes the exact size you want. Not let a small issue become a big one. Baking Time Measuring. Mixing. Baking. Monitoring. Nothing. Re-baking (because mistakes happen) We take care of disposal and replacement. Don’t worry, we won’t charge you, and we have a lot of hungry neighbours. Embrace perfection. Cost of Machinery We buy and upkeep the hardware. The mixers, ovens and other machines are ours, so we take care of their servicing. Have you seen how much ovens cost these days? Cost of Utensils As it says, we buy what we need so that you don’t have to. Only buy what you have to and keep your expenses low. In a nutshell, using our service saves you a ton of space, time, money and hassle. Call us or send us an e-mail for queries! If you’re looking for very specific cake toppers – something you won’t find easily in a store – we can help. Forget regular stuff! We can help you find obscure and interesting ready made figures. And if you want to get something a little bit more personal, we can also have your message in wood. If you need something a little bit more personalised, we can print out any image you send us – be it a logo, a picture, a photo, anything! – on a delicious edible candy sheet. Contact us for pricing and details. We partner with a delivery service in order to make your process even more convenient. Our food grade transportation can help you deliver your products island-wide, door-to-door, 7 days a week, from $10 per trip. From a small packet of muffins to a two-tiered fully-decorated party centrepiece, our partner is standing by to help see it there through rain or… well, rain’s the bigger concern, really. Maybe you’re that person who bakes for fun, and your friend (who loves your brownies, by the way) tells you that you could sell them for money. But you have no idea where to start. You’re not too sure how businesses work, or what you’ll need to get it off the ground. Well, allow us to assist. We offer free professional advice to individuals trying to get started, or who are already running, a small baking business. Even if you’re a home baker looking for streamlining advice, or someone who wants to know more technical details about pricing or work flow optimization, you can call us or send us an E-mail to receive free consultation. We will be happy to help, and although we included the service in the table above, we’re repeating it here so that you know that you do not have to be an existing customer or subscriber in order to take advantage of this service. Contact us at any available time to ask questions, find out more about what we do, or to ask for business advice. No strings attached. Naked Cakes has a personal network of bakers, consumers, suppliers and customers. We invite you to be part of this family and take advantage of being part of the community. Our network will allow you to hook up with customers easier, and discover your own circles. While most of the bakers in our network use our products, it is not a requirement. Your involvement helps all of us grow, and growth is its own reward. In fact, some of the bakers in our community have seen growth of 3 – 5 times their original sales! Sometimes a bit of transparency is necessary. So let us be transparent: we treat private information with the utmost importance, and we understand that secrets are meant to be secret. We will never sell or use your personal information for any reason whatsoever, and we will always make sure your business contacts are not used in any way you don’t want it to be. Naked Cakes will also never require any of our customers to reveal their relationship with us. We understand that for certain reasons, some entities may not want to disclose that they work with third parties. For this reason, we do not insist that any client tells their own customers they work with us.